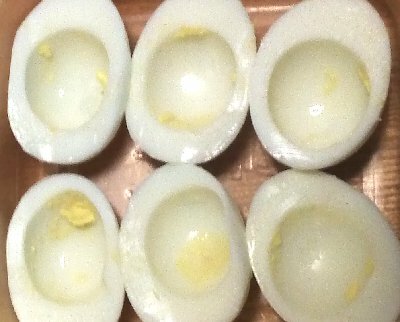 I was around eleven years old the first time I ever tasted deviled eggs; they’ve been a favorite ever since. for ten minutes until they are hard boiled. Cool: pour out the hot water and cover the eggs in cold water and repeat when the heat from the eggs warms the water. This cools them down quickly, and prevents the gray ring around the yolks from over cooking.. I simply left it out to no apparent detriment. I’ve since entirely eliminated salt from my deviled eggs and had no complaints. You are welcome to add some if you like. If you want to add spices (perhaps garlic powder) or anything else (maybe finely chopped onions or peppers) this would be the time to do so. 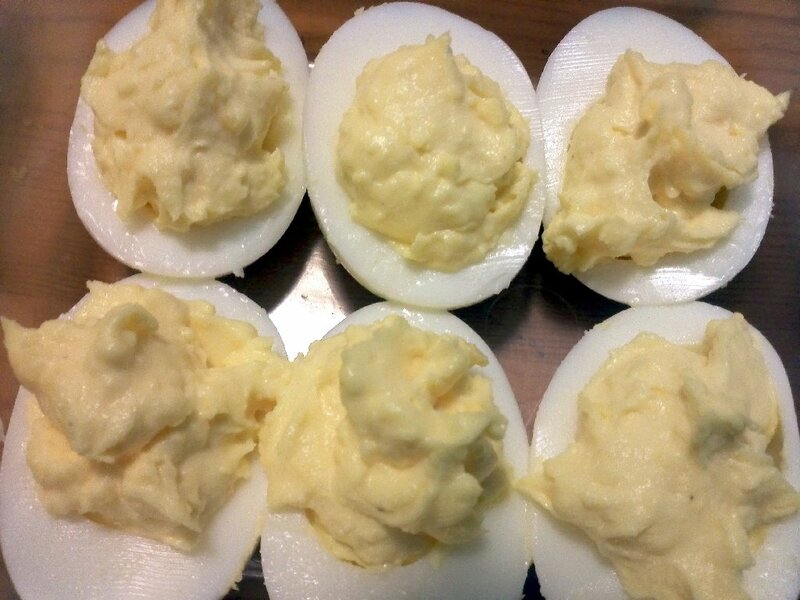 Some prefer the whipped mayonnaise substitutes, but I find the resulting deviled eggs are too sweet. Stir the yolk mixture until creamy consistency. 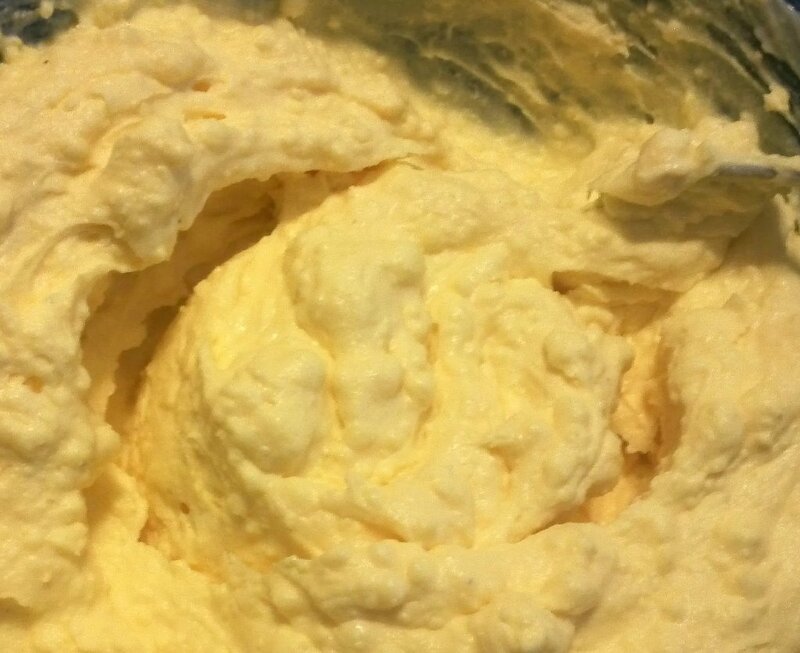 Scoop yolk mixture back into the egg whites. 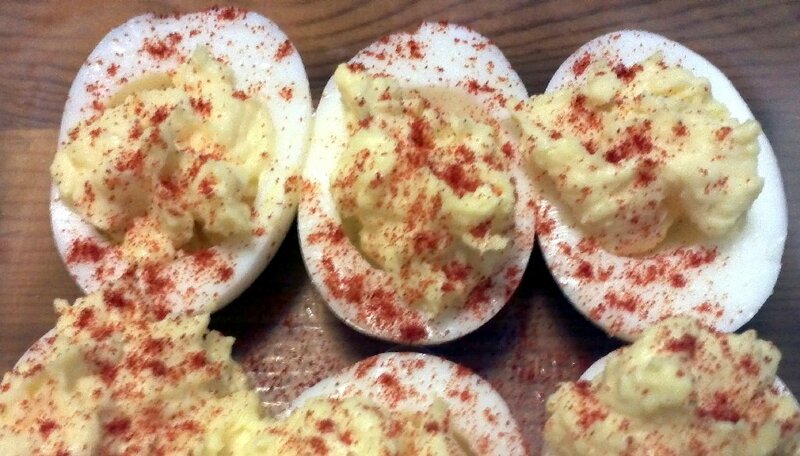 The final step is to lightly sprinkle on the paprika; this is what makes these eggs “deviled.” The red spice isn’t just an aesthetic garnish, it adds something extra to the flavor. 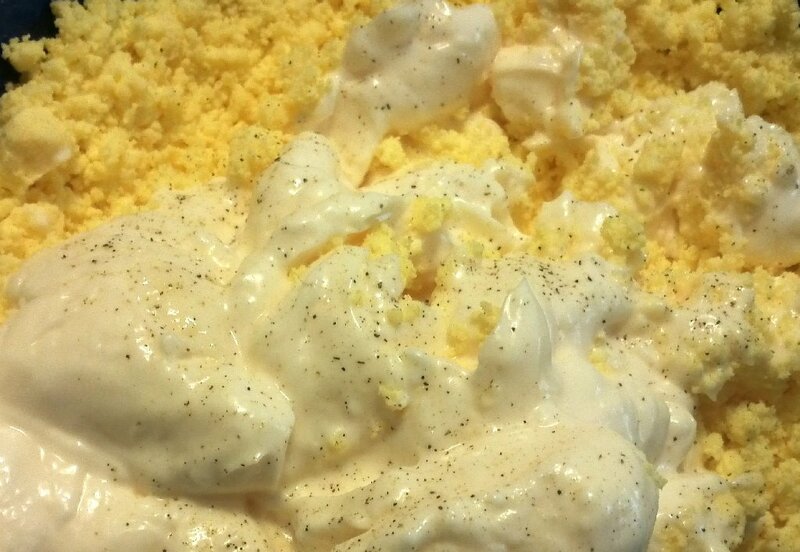 Even in a sealed container, deviled eggs are no longer at their best the next morning, so on the odd occasion when there are left overs, stir them together into egg salad. 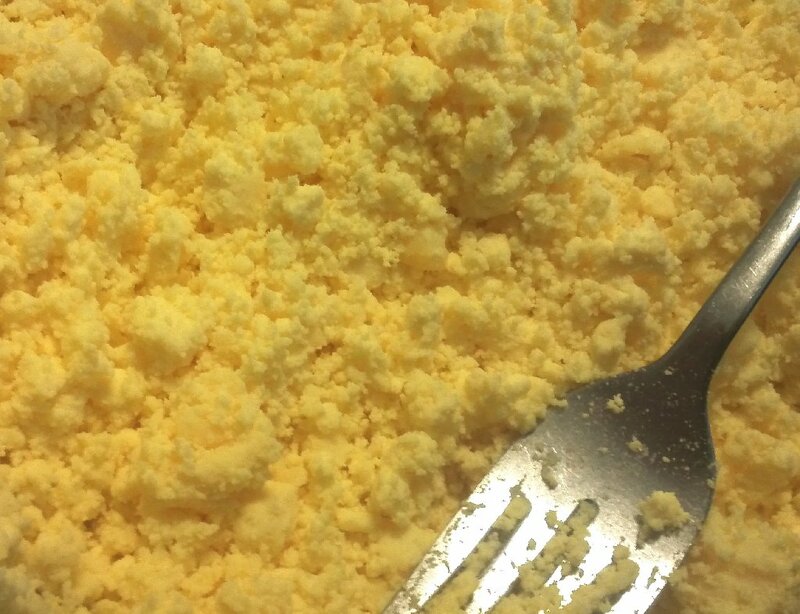 The egg yolk contains iron and the white (albumen) contains sulfur. During boiling the sulfur atoms are liberated and react with hydrogen ions in the white to form hydrogen sulfide (a gas). As gas forms, it diffuses in all directions and some reaches the surface of the yolk, where it encounters iron and reacts to form dark particles of ferrous sulfide.